Reinhard coaches leaders and managers to optimize innovative thinking in managing change to create new levels of success. In support of Albert Einstein’s belief that “Logic will get you from A to B. Imagination will take you everywhere”, Reinhard facilitates his clients to explore the “why not’s, “what if’s” and “how else can it be done?” to reach their objectives and to find measurable value for what they spend. Reinhard holds a Post Graduate Certificate in Coaching (i-coach academy, Middlesex University) and a BA in Industrial Psychology and Communication. He is registered and working towards his MA in Coaching (Middlesex University). Drawing from several decades of experience across a diverse range of contexts and cultures, he offers coaching and consulting services in change facilitation, creative strategy, innovation management, leadership development, performance motivation, career development and manager as coach programmes. Reinhard has coached and consulted to senior staff, managers and directors with the following companies: Abvest, Metropolitan, Shell, FNB, SA Metal, Hope Worldwide and Portland Holdings. 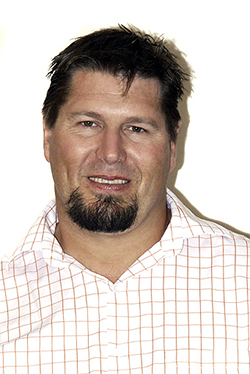 Reinhard is a registered member International Coaching Federation and COMENSA (Coaches and Mentors of South Africa).